Arabella, Duchess of Foxmoor Castle, is given a mission by her cousin, Princess Lynet–make the prince she’s betrothed to give up any notion of wedding her. 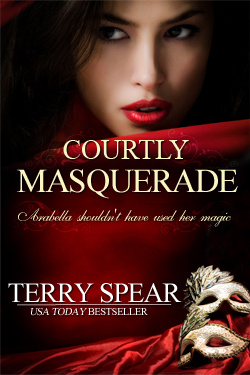 But Arabella faces danger at every turn when she discovers her magical talents mean others believe her to be “The One” who will fulfill the prophecy to take down the most evil wizard of all time.Arabella shouldn’t have used her magic. She shouldn’t have given into her spoiled cousin. She shouldn’t have escaped Lord Conlan. Or stolen from the Dark One.